MasterCard® has issued requirements to ensure that merchants with multiple card reading devices within a single location must submit a unique Device ID number with each transaction to remain compliant and avoid fines from MasterCard. While we recommend updating to the newest version of Counterpoint, the oldest version that meets MasterCard's new requirements are versions 8.4.6.12 or 8.5.1 and higher. Some older interfaces between Counterpoint Gateway and NCR Secure Pay were not designed to handle this information. Thus, the Device ID was unable to be passed along to the processor (and thus to MasterCard), which prevents compliance. The chart below includes processor interfaces that are currently not compliant with the Device ID requirement as well as the recommended path to achieve compliance. MasterCard’s deadline for compliance is 12/31/2017. Please note that only merchants with multiple devices processing card present transactions are impacted. Merchants with a single lane per processing account are not impacted. Also, any processor not listed in the chart below is compliant and already transmitting the Device ID to the processor. Don't Forget! 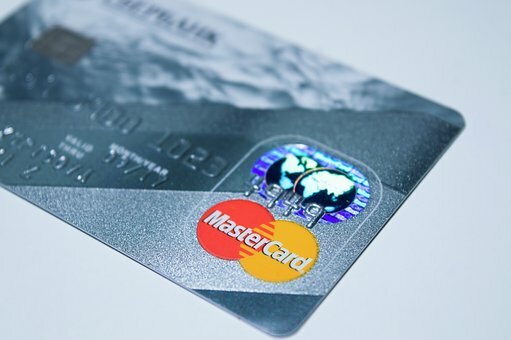 MasterCard BIN range expanding to include BINs that begin with a "2"
MasterCard is expanding the BIN range by introducing a new series of International Organization for Standardization (ISO) BINs that begin with a “2” (222100–272099). The “2” series BINs will be processed in the same manner that the “51–55” series BINs are processed today. MasterCard anticipates that the “2” series BINs will be completely supported no later than October 14, 2016. Customers may choose to enhance their systems prior to the implementation date. MasterCard BIN range expanding to include BINs that begin with a "2"